Three weeks have passed since the previous ASI update, but I must say that I haven't become much wiser since then. 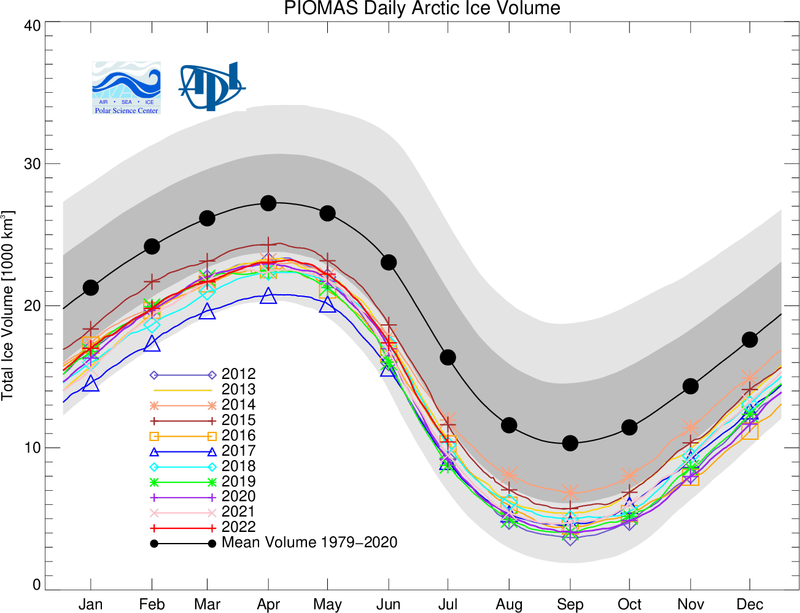 I was expecting this year to start falling behind on the extent and area graphs, as weather conditions that aren't really conducive to melting, have continued to dominate the Arctic. More than one month and a half of cloudy weather, not exceptional warm, little compaction, hardly any Fram Strait export, but this year somehow still manages to stay among the lowest on record. Such circumstances would have inevitably led to a major stalling on the graphs in previous years, but not this year. It would seem the lack of melting momentum is being compensated by another kind of momentum, brought on by the mild winter, early melt onset/opening up, extreme low snow cover and anomalously high sea surface temperatures. The question still is whether this year has the oomph to end up in the top 3 September minimums, but whereas three weeks ago I thought it probably wouldn't, I'm not so sure anymore. The run-up to this melting season was really special, with an unprecedentedly warm winter season and early opening of the Beaufort Sea. Sea ice extent and area numbers went extremely low for the time of year, and sea ice volume reached the depths it was at before the 2013-2015 post-record rebound. But events in the Arctic don't behave like a straight arrow. Not in the short term, at least. Weather conditions switched around the start of this month (see previous update) and prevented a large-scale soaking up of solar radiation through leads and melt ponds that would've increased the chances of a new record low September minimum even more. The lack of melting momentum has in fact decreased the chances to the point that I'd bet against it. If you want more details, read these two posts, or this blog post by Chris Reynolds that is hot off the press. Mind you, this is not a melting season like 2013 or 2014 where persistent cloudiness and low temperatures caused relatively high September minimums (compared to top 3 years like 2007, 2011 and 2012, of course; they were well below the long-term average). 2016 still has many aspects going for it, like all that open water in the Beaufort Sea, low volume and snow cover that vanished at record speed. But it will take more to beat 2012, or 2007 and 2011 for that matter. So, that's the question I will focus on in weeks to come: Can 2016 still make the top 3?